Shocking revelations in the affiliate sector of the industry earlier this year had one positive result – it turned the spotlight on the question of genuine program certification and the real benefits that can flow from a professional and independent third party approach to this important business and marketing element. Coincidentally, the renewed interest it generated among affiliate programs came at a propitious time for eCOGRA, which had already embarked on a meaningful affiliate certification initiative following a year of expert international consultation with both business and academia. That program has seen the establishment of best practice standards and the in-depth assessment and audit of four major affiliate programs prior to the award of the new Affiliate Trust Seal. At the heart of certification lies the principle that any system set up to award certificates must have substance. When large sums of money or advertising fees are handed over on a regular basis in return for an endorsement that is not achieved through professional inspection to defined standards, it is definitely not real certification and is of little practical value. In eCOGRA’s independent Affiliate Trust Seal service, the inspections and reviews are in-depth and carried out on-site by appropriately qualified business professionals armed with a set of requirements and standards that necessitate a full assessment of the program and its systems. Several program operators have been complimentary regarding the improvements to business which can flow from the advice given by the compliance teams, who must submit a full report to eCOGRA’s independent directors before they will approve the award of a certificate that has real value and credibility. 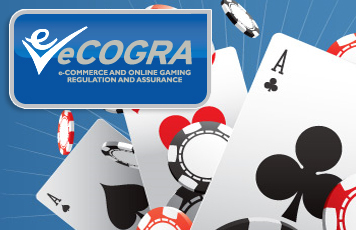 Like eCOGRA’s accreditation process for gambling site operators, the Affiliate Trust service introduces detailed best business practice standards for affiliate program companies, backed by a strict inspection and monitoring system and the display of the new eCOGRA Affiliate Trust Seal. To display the new Seal, affiliate programs must demonstrate that their program establishes, enforces and monitors best practice standards. Specifically, they must show that they calculate affiliate revenue accurately and make payments promptly, and that they have controls in place to accurately link players to affiliates. Although there are other entities claiming to monitor affiliate programs, eCOGRA provides the most public, structured and formal approach and ensures adherence to consistent standards through regular monitoring and full annual reviews carried out by highly qualified inspection and auditing compliance teams. “The eCOGRA Affiliate Trust initiative is more about actually going and visiting the management and operations of affiliate programs, gaining direct access to check relevant player and affiliate data to ensure that affiliate members are being treated fairly,” says eCOGRA CEO Andrew Beveridge.